What would your perfect Christmas tree look like? Have your beginning writer practise descriptive writing to answer this fun Christmas creative writing prompt! Prepare your first grader for the holiday season with a delightful reindeer drawing guide. Follow the colour-by-number guide to bring colour and Christmas spirit to this stocking coloring page. Invite your child to make his own Christmas stocking with this cute template! Add holiday colors, and be sure to help him cut and paste the parts together. 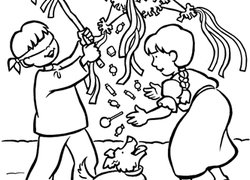 This sled coloring page will surely get your child excited to go sledding! Add colour to bring this fun, wintry scene to life. 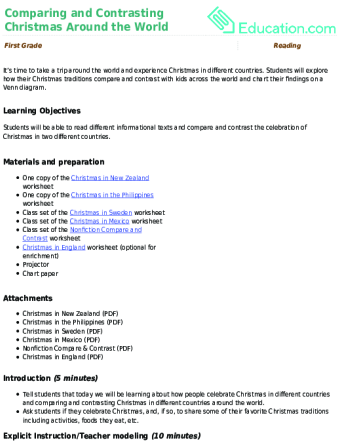 Practise counting to nine and writing it too, with this Christmas-themed worksheet. 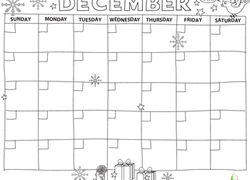 Kids will count, trace, and colour this candy-cane-filled worksheet. Nothing says Christmas like boughs of holly! With some crayons and card stock paper it's easy and fun to create a homemade Merry Christmas card. Put your kid's counting skills to work with this fill-in-the-date calendar page. Full of fun pictures to colour, you don't have to worry about him getting bored. 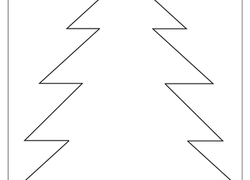 Kids who love Christmas will enjoy this count, trace, and colour worksheet. 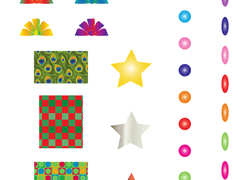 This worksheet will help your child develop maths, literacy, and art skills. 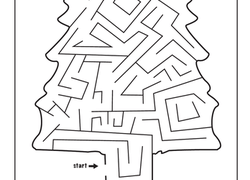 Get your child into the holiday spirit with this fun Christmas maze! Can your child find a way through the tree to the top of the star?